snips snippets: Love Flying Geese Book and A Giveaway! Love Flying Geese Book and A Giveaway! Hello again! Yeah, yeah, I know it's been well over a year since I was last here. Life, am I right?! It's hard to keep up with everything and still find time to blog, but when you find out you're in a book, of course that needs to be documented in blog form! Especially when a giveaway is involved! Stay tuned for that ;) GIVEAWAY CLOSED!! And here it is!! 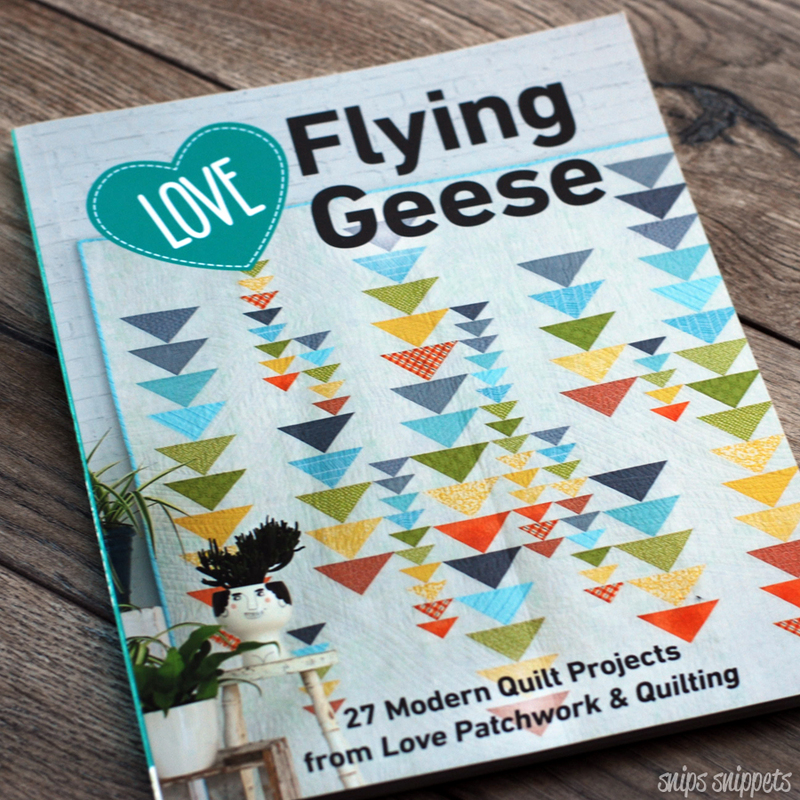 Love Flying Geese is a compilation book from C&T Publishing of 27 quilt projects that were originally seen in Love Patchwork and Quilting magazine from some super sensational quilters! For those that know me I'm no stranger to flying geese. My favourite method being the four in one method. But to say I was surprised to find out that I had ten projects in this book was a bit of an understatement! I almost want to systematically go through all my previous work now and find out how many projects were made with flying geese! I didn't quite realize that I used them so frequently! I'm going to keep the text light on this post and show mostly pictures and we'll finish with a giveaway! Sound good?! Well let's get started then! First up for me is a series of six mini quilts I made when Hawthorne Supply Company came out with their Coyote fabrics. Dessert Crossing was a set I designed that showed my love for both super sized blocks and micro pieced blocks. As well as showing how versatile flying geese can be! The set consists of three blocks, each with a super sized block that works really well to show off a feature print and a matching micro mini that effectively shows what nine of the blocks look like all together. 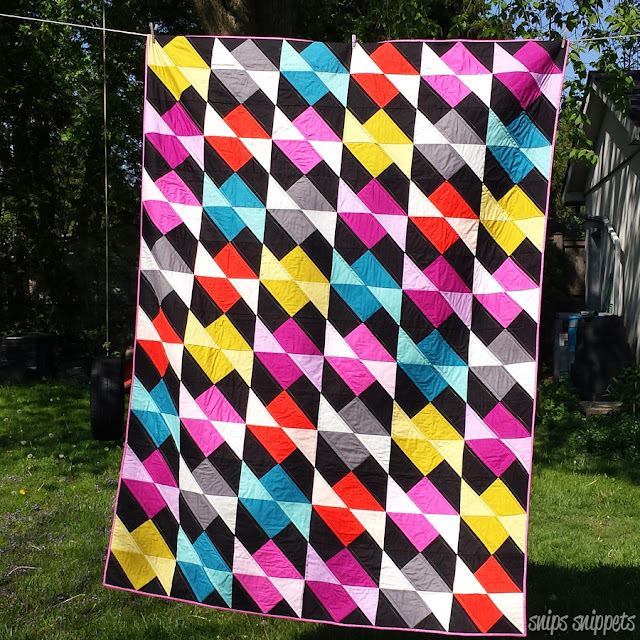 Next up in the book is my Colour Twist quilt that I made using all RJR Fabrics Cotton Supreme solids with a couple prints from Melody Miller's Fruit Dot line for the backing and binding. 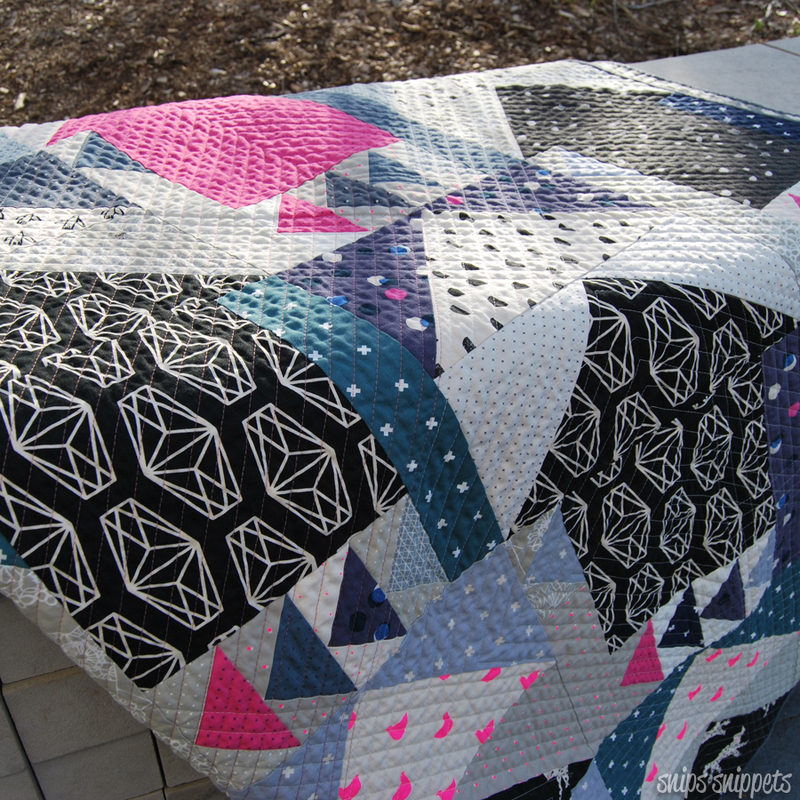 This was a fun one to show how one simple twist can make the flying geese blocks look totally different! And of course for this one I needed to make a matching pillow with super small twists right?! My next project in the book is one of my all time faves. My Space Blossom quilt. This one was made entirely out of the original Cotton and Steel girls cotton lawn line with Rashida Coleman-Hale's Specks print used as the jumping off print as well as the backing. Coincidentally it was the way this print looked like the galaxy that made me decide to name the quilt Space Blossoms! With this quilt being made entirely from cotton lawn I wanted to unsure that it kept it's light and airy feeling so I made the decision to hand quilt the entire thing. All 72" x 92" of it. On a deadline. But it was totally worth it! This is my summer quilt, everyone needs at least one all cotton lawn quilt for sleeping under in the summer! Trust me! Okay, my last project in Love Flying Geese is another fave of mine. Looking Up is a great design for larger scale prints or the prints that you don't have the heart to chop up into teeny bits! For this one I used one of the Black and White collections from the original Cotton and Steel girls as well as some of their coordinating basics. This one is the quilt that gets dragged out to the living room for movie nights, video game marathons, sick time snuggling and of course is one of the staples in our epic fort Friday builds! 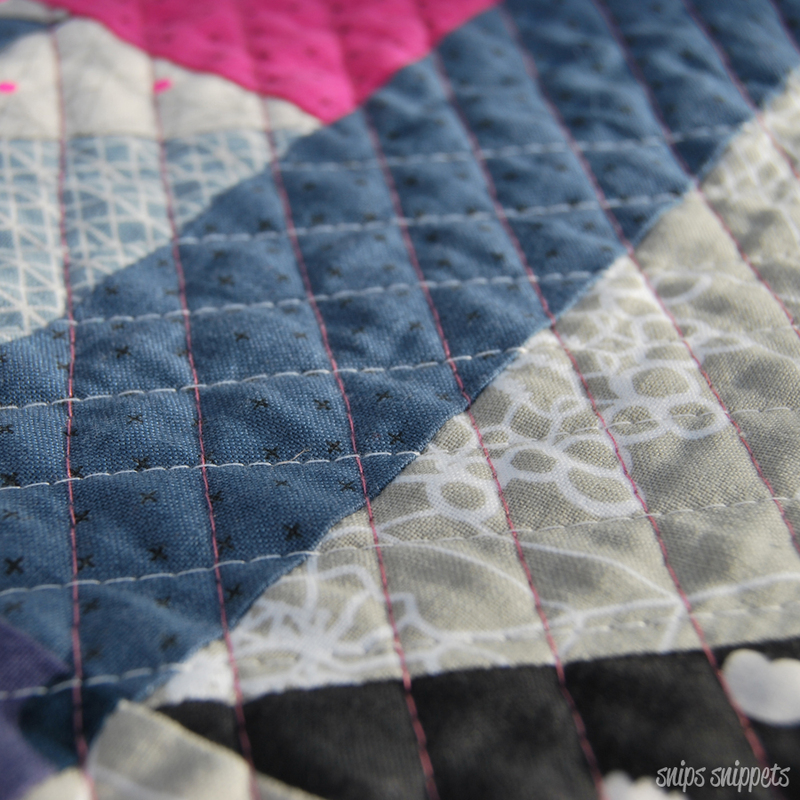 The dense quilting makes it perfect for tugging around to make sure all toes are covered and the dog can happily lay on top with no worries about delicate quilting. And that my friends is it! There are so many more beautiful quilts in this book by some of my all time favourite designers and you absolutely must check them all out! The blog tour continues on tomorrow with our cover girl Amanda Castor! Now who wants to win a copy of Love Flying Geese?!! C&T Publishing are kindly giving away an ebook copy of Love Flying Geese to one of my lucky readers and all you have to do to win is leave a comment here! I'll draw a name this Monday April 1st and contact the winner by email! Good Luck! GIVEAWAY NOW CLOSED!! 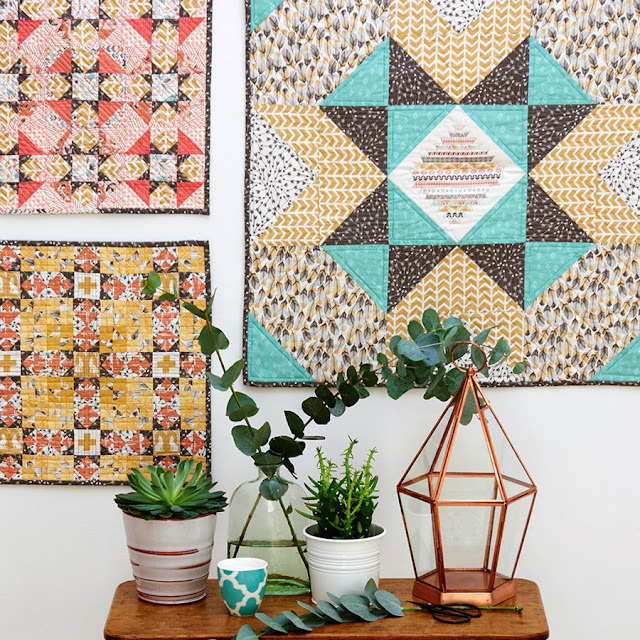 High fives to Love Patchwork and Quilting and C&T publishing for putting this lovely book together! I love flying geese! I have two loc bloc rulers for flying geese and this book would be a great way to use those! Thanks for the giveaway! Oh what a lovely quilting book. Definitely one to go onto the must get list. How very exciting for you to have so many of your own projects included. Flying geese are so versatile. 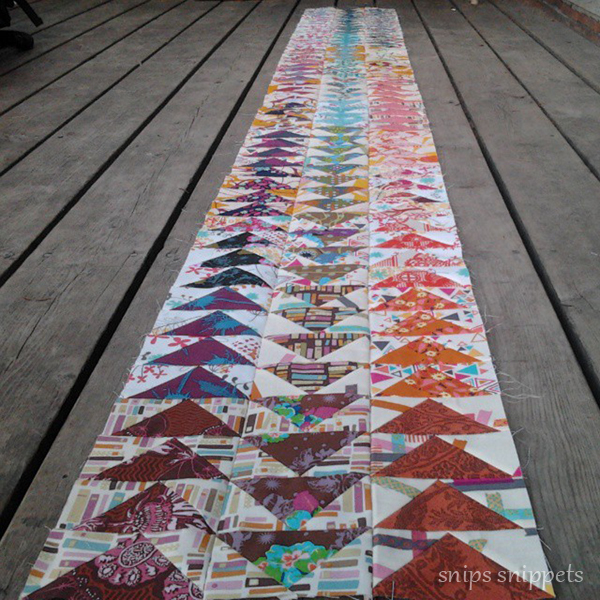 This would be a great addition to anyone’s quilting library. I love flying geese blocks! Looking forward to this book. Such awesome projects you created. Flying geese are great. Looks like a wonderful book for 2019. I too am smitten with flying geese. Would love to have all the inspiration from the book. Hi, oh what wonderful photos! April 1st is my birthday, so it would be awesome to win this ebook copy on this day! You have created a wonderful variety of quilts using flying geese. Lots of inspiration in this book. Flying geese are my favorite! This looks like a beautiful book. I love flying geese! The book looks brilliant. Oh, I want this book! I love flying geese and use the 4 in 1 method also. I really want to see how you did the flying geese with a twist. I love flying geese! 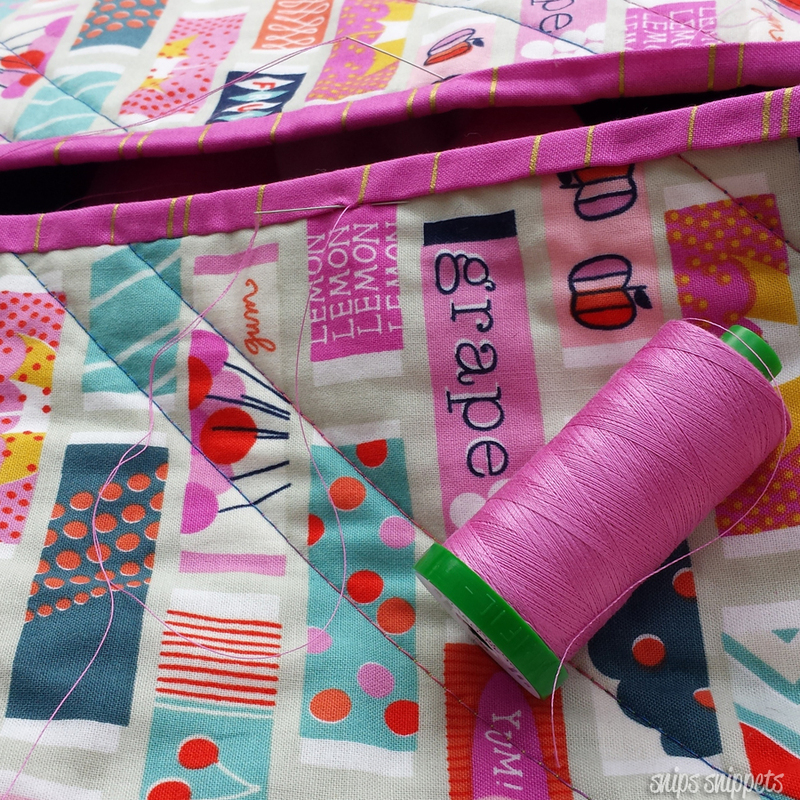 such fun quilts in this book! Looks like a great book! I love flying geese! I'm really curious how your Color Twist comes together. 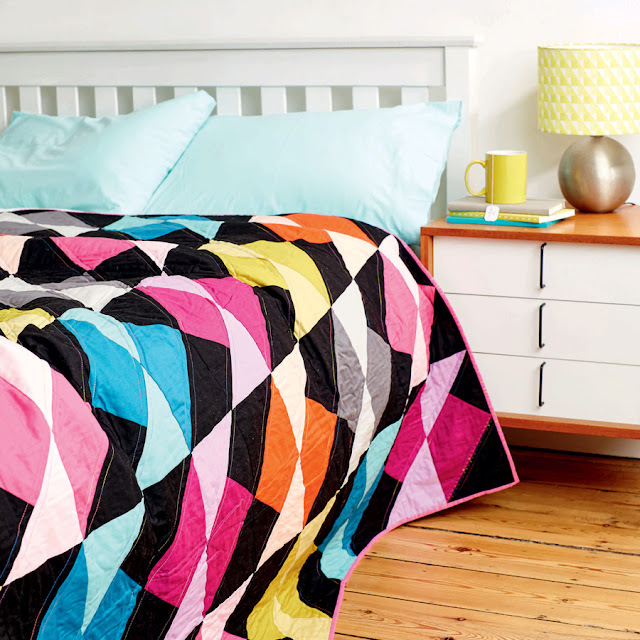 Terrific quilts. Oh my gosh so many flying geese used in so many different ways. I wasn't a huge fan of them until I saw your quilts, they are so different. I can't wait to make Looking Up it is so cool and I have so much fabric that I can't bear to cut up too small. Thank you. hat a lovely collection of your quilts that has been included in the book! I think this will be a needed book in any quilt library. I'd love to win a copy. Looks like a great book. Wow! Congrats on getting 10 projects in this book! I love all those you've shown here, especially your Space Blossom Quilt. That's beautiful. I really like flying geese myself so this would be a great book to own. 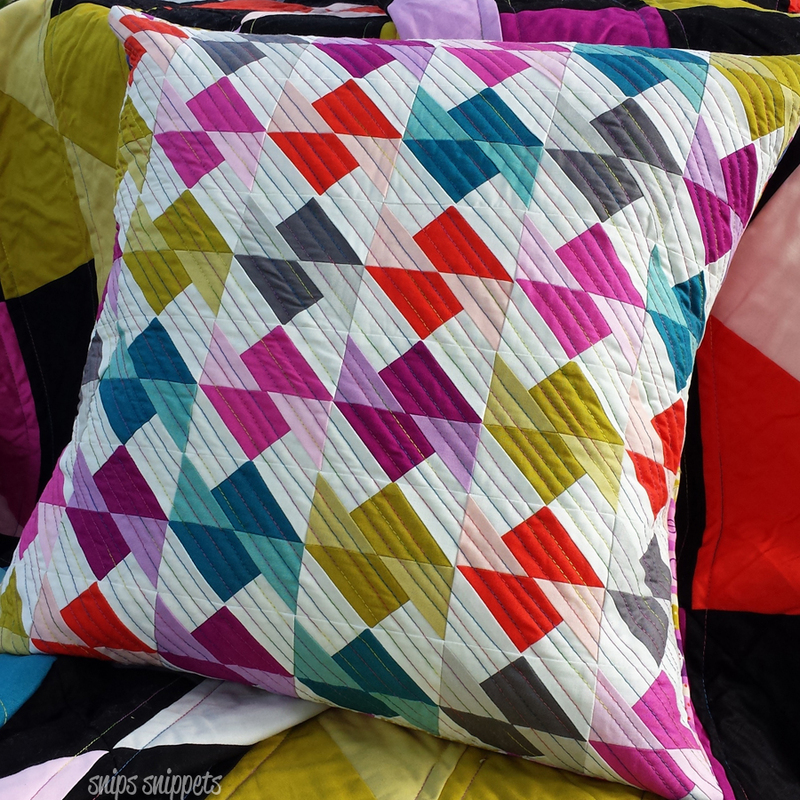 Beautiful quilt projects. Would love to win this great book. This book looks like great fun, and 10 projects is amazing! Would love to learn how to make flying geese and this book would help!! Love the pizzazz in the projects’ patterns in the book! The geese continue to intrigue me & are looking less daunting! Thanks for your lovely work & inspiration. Congratulations! I must make that house quilt. It's a beauty.